SANTA CLARA, CA - (February 11, 2002) - Foveon, Inc., a technology leader in high quality digital photography, announces the introduction and immediate availability of its new line of Foveon X3 image sensors. The image sensors utilize the company's new Foveon X3 technology and are the world's first full-color image sensors that capture red, green and blue light at each and every pixel. This technology innovation results in sharper images, better color, and freedom from color artifacts common in present digital cameras. The Foveon X3 image sensors are the first to detect color by embedding three photodetectors in silicon at every pixel location. The benefits of Foveon X3 technology will be available for all classes of digital cameras, ranging from high-end professional systems to low-cost point-and-shoot cameras. "Foveon X3 technology enables the immediacy and excitement of the digital photography experience with the quality that consumers have previously come to expect only from film," said Jim Lau, Foveon's CEO. "Current image sensor technology has not enabled digital cameras to realize their full potential. We believe the breakthroughs of the Foveon X3 technology will form the foundation of a new generation of digital cameras in all classes." The name X3 comes from a unique capability that the Foveon X3 technology brings�the ability to capture three colors at each single pixel location. Foveon X3 image sensors capture the full color of an image without using a color mosaic filter and without the expense, complexity, and limitations of multi-chip systems such as a 3-CCD camera or a multi-shot system. "In essence, Foveon has developed a single-chip solution for capturing complete color in an image. Previous methods for capturing complete color were prohibitively expensive, and were only appropriate for very high-end systems. We believe that Foveon X3 will be the preferred technology for future digital camera designs, at every price point," said Lau. The Foveon X3 breakthrough is accomplished by stacking three photodetectors within each pixel. Each of the photodetectors is tuned to capture a different color, one dedicated to red light, one to green, and one to blue. Virtually every other color image sensor records just one color per pixel. As a result, Foveon X3 technology delivers increased image sharpness, better color detail, and much greater resistance to unpredictable color artifacts in comparison to other image sensors with the same number of pixels. In addition to the breakthrough in color resolution, Foveon X3 image sensors are the first to incorporate Variable Pixel Size for color image sensors, enabling a new class of dual capability still/video cameras that excel in image quality for both capture modes. Image sensors with Foveon X3 technology are much less susceptible to digital artifacts and create sharper images. Current color image sensors (CCD and CMOS) contain just one layer of monochromatic photo detectors, with one photodetector per pixel. To capture color, the pixels in the image sensor are organized in a mosaic pattern resembling a three-color checkerboard. As a result, each pixel captures just one color-red, green or blue. The use of mosaic color filters in image sensors has inherent drawbacks, no matter how many pixels a mosaic-based image sensor might contain. Since they only capture one-third of the color, mosaic-based image sensors must rely on complex processing to interpolate the remaining two-thirds of the colors that are not captured. Interpolation leads to a loss of image detail and color artifacts. To compensate, some cameras intentionally blur pictures to reduce these artifacts. Image sensors with Foveon X3 technology gather more light. In a mosaic sensor, each pixel collects only one color out of three, or roughly one-third of the light. The remaining two-thirds of incident light is absorbed by color filters and not used�which is a significant reduction in the efficiency of the pixels. Foveon X3 pixels maximize the use of light since all three colors are collected at each pixel. With Foveon X3 image sensors, photographs are sharp and virtually free of color artifacts. "The photographic detail and color that can be achieved with this technology is unsurpassed," said Lau. "Pixel for pixel, Foveon X3 based digital cameras will deliver higher quality images than any other image sensor." VPS: Video Performance and High Resolution in a single chip. Foveon X3 sensors are designed with an exclusive capability called Variable Pixel Size (VPS). VPS combines the benefits of large and small pixels together into a single image sensor. Smaller pixels bring the benefit of higher resolution and sharper images demanded by still photography. Larger pixels bring the benefit of higher light sensitivity that is needed for low light situations, faster auto focus systems and video applications. The changing of pixel sizes is accomplished instantaneously and is only achieved with the full-color capture of the Foveon X3 technology. Silicon Color Separation. Foveon X3 image sensors are the world's only image sensors that capture color images by taking advantage of the natural color-separating properties of silicon. It is a well-known property of silicon that light of different colors is absorbed at different depths in the silicon; blue light is absorbed near the surface, green light is absorbed farther down and red light is absorbed even deeper. Each Foveon X3 pixel consists of three photodetectors located at different depths within the sensor which detect the absorption of the red, green, and blue light that has penetrated the silicon. The three photodetectors convert the light that is absorbed in the silicon into three signals that are then converted to digital data and processed with Foveon's image processing software. Foveon is the first and only company to use silicon color separation as a foundation for the design of color image sensors for digital cameras. Less Complex, Lower Cost. Foveon X3 image sensors streamline the electronic design of digital cameras. Today's digital cameras must use complex mathematical algorithms to estimate the red, green, and blue values of each pixel, since only one color per pixel is being truly measured. To accomplish this interpolation, dedicated processing hardware and software are required inside the camera. Color interpolation adds cost and complexity to a camera while increasing delays between clicking the shutter button and capturing a picture. The delays caused by processing requirements can result in the difference between capturing a great picture or missing an important moment. By capturing all three colors at every pixel, Foveon X3 based image sensors eliminate the need for costly, complex, and error-prone color interpolation. As a result, Foveon X3 technology improves image quality, simplifies camera designs, and improves click-to-capture performance. The Foveon X3 image sensor is the first image sensor designed and in production using standard 0.18-micron CMOS semiconductor production line. Foveon partnered with National Semiconductor Corporation, one of the company's initial investors, to develop the fabrication process for the technology. The image sensors are fabricated at National's world-class South Portland, Maine manufacturing facility. "Foveon has accelerated the development of a replacement technology for CCDs by almost two years," said Brian Halla, National Semiconductor's CEO. "We worked with Foveon as if they were an internal division to enable fast design cycle times and to speed innovation. Without question, the Foveon X3 technology is going to bring a seachange of quality and performance to digital cameras." "National's Portland, South Maine plant was pivotal in our ability to develop the Foveon X3 technology. The company has a state-of-the-art facility and dedicated personnel that exceed the exacting standards required for making the world's most advanced CMOS image sensors," said Lau. "To develop the Foveon X3 technology, we have integrated our knowledge of color science, image processing, image sensor design and software to develop a product that is destined to become the standard in image sensors for electronic cameras," said Carver Mead, Foveon's founder and Chairman of the Board. The company reports the immediate availability of its Foveon X3 image sensors. The F7-35X3-A25B is the first available in production quantities. The image sensor has a resolution of 2304 x 1536 x 3 and measures 20.7mm x 13.8mm (25mm diagonal). The second image sensor, the F10-14X3-D08A, is designed for a 1/2" optical format. 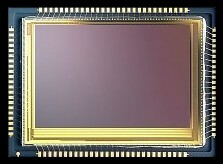 The image sensor measures 6.4mm x 4.8mm, has a resolution of 1344 x 1024 x 3, and will be available Q3 2002 in sample quantities. Reference design kits consisting of a hardware reference platform and software development are also available to O.E.M.s. Foveon's first customer for the Foveon X3 technology is Sigma Corporation, which is using the F7-35X3-A25B image sensor in the Sigma SD9 SLR digital camera. 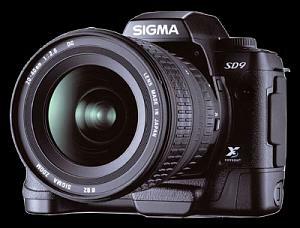 Sigma Corporation will be introducing the SD9 at booth #1635 at PMA in Orlando, Florida, Feb 24, 2002. Editor's Note: Foveon will hold a press conference on February 25 at PMA in Orlando, Florida to make additional announcements about its strategic partners and other developments. At PMA, Foveon, Inc. will be located in the O.E.M. Alliance Center in Rooms XC-101 and XC-103. Foveon, Inc. was founded in 1997 by Dr. Carver Mead, a pioneer in solid-state electronics and VLSI design. Foveon's mission is to develop innovative products and technology that allow photographers to fully realize the potential of digital photography. The company's recent accomplishments include: the highest quality professional studio portrait camera, the worlds first 16.8 million pixel CMOS image sensor and Foveon X3, the worlds first full color image sensor. Foveon is a privately held company. Investors include: National Semiconductor Inc., Synaptics Inc. and New Enterprise Associates. and is believed to be true but no warranty is made as to the general suitability or performance of these products. service marks are the property of their respective owners.